I've been pretty much obsessed with trying out all sorts of eye creams recently, I just have the most awful dark circles under my eyes that even concealer cant handle in the mornings sometimes, so I've been after finding that one product that ticks all the boxes for me which led me to trying the Embryolisse Radiant Eye Cream. The Embryolisse Radiant Eye Cream* (£20.50) is a gem of a product that I've been absolutely loving and has become a staple in my morning skincare routine before popping on my makeup. The formula itself is much like a lip balm, even though it's an eye 'cream' it actually comes on a twist up stick and the texture is just like a balm which I actually really like and it applies so much easier and quicker that way too. What I love about this eye cream in particular is that it contains moisturising and restructuring properties which together soothe the eye contour, reduces dark circles and eye puffiness all in one go. It's also fragrance and paraben free but is rich in vitamins and an exclusive Botanical Comples which lifts, brightens, soothes and hydrates the eye area making it perfect for morning use! I've been using the Embryolisse Radiant Eye Cream for a good few weeks and I don't think I could be without it now, it refreshes and wakes my tired eyes up instantly in the mornings and feels noticeably cool on my skin, just like it has come out of the fridge when in reality it's actually been sitting in my makeup bag! 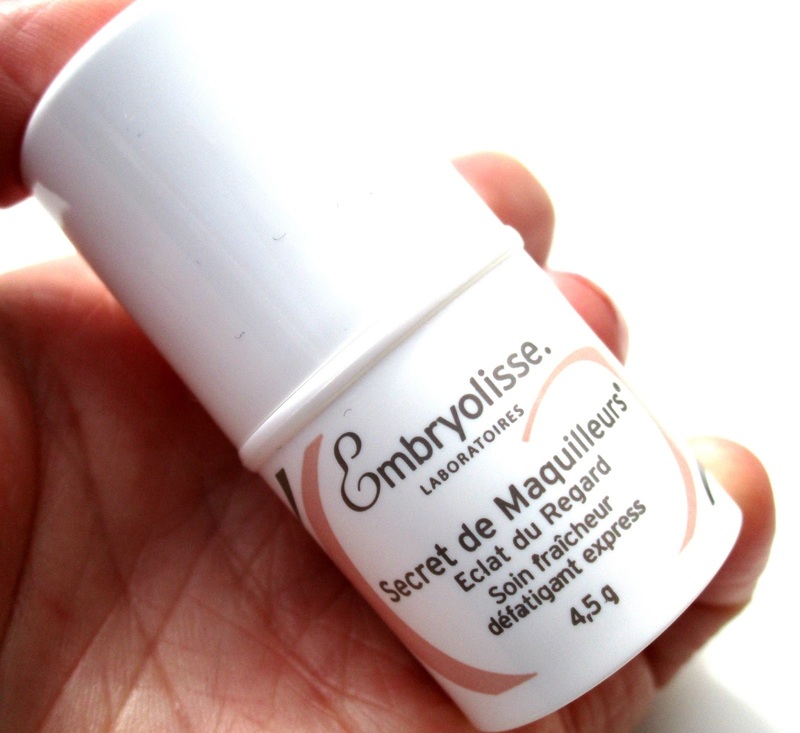 I had also been suffering from horrible, sore dry patches at the very ends of my eyes which where slightly puffy too and since using the Embryolisse Radiant Eye Cream that has completely cleared up, which I'm super happy about. As for reducing my dark circles... There is a slight decrease in darkness around my eyes which allows me to use a slighter lighter concealer but nothing major! What I think this eye cream works best at is hydrating, refreshing smoothes and de-puffing! Have you tried the Embryolisse Radiant Eye Cream beaut's? What did you think? I'd love to know!